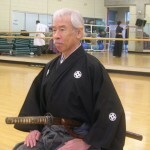 Roku-Dan (6th Degree) of Iaido at All Japan Iaido Federation (ZNIR). 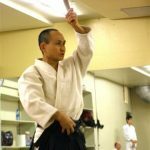 Has taught Iaido with UBC Recreation for over 20 years and was also an instructor of Shorinji Kempo with UBC Recreation for a few years before starting to teach Iaido. Aikido is based on the principle of non-conflict. In Aikido, one uses powerful circular movements to blend with an opponent’s attact and redirect the attack into a throw or immobilization, bringing the conflict to a peaceful resolution. Aikido helps develop one’s flexibility, stability, and coordination of body and mind. 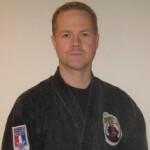 With 30 years experience, James holds multiple black belts, certificates and gold medals in Jujutsu, Karate, and Judo. The majority of training is in practical street self defense (last 16 years) in Krav-Maga & Combat Jujutsu. Students James has trained in classes include security staff, law enforcement and the general public of all ages. Krav Maga Black Belt and certified Israeli Krav International instructor, Combat Jujutsu Black Belt & senior instructor (IFOJJ), Karate Black belt (GoJu-Ryu) certified Japan/Canada. Director Hit and Run Self Defense street safety and personal protection programs including Krav-Jitsu. Other certificates include: The Ultimate Martial Arts Workshop, Total Submission Personal Protection and Fighting sciences, Level 1, 2 & 3 Nightclub Protection (public relations, legal issues, security operations, personal protection and combat control tactics), assistant instructor. Total Impact Instructor for women in areas of combat psychology, offensive fighting skills, strategy and tactics. Alex is a direct student of Ono Yōtarō-sensei of the Chōfūkan Dōjō in Kyōto, Japan, who is the 16th lineal headmaster of the Bitchū-den linegage of Takenouchi-ryū Bu-jutsu, one of Japan’s oldest and most respected martial traditions. Takenouchi-ryū is recognized by historians as the first school of jū-jutsu. Alex is the highest ranked teacher of Takenouchi-ryū in Canada. He is ranked as a Shihandai (associate master) by Ono-sensei. He regularly hosts seminars by teachers from Japan as well as leading trips to Japan for direct training with the masters of this art. Alex commenced his martial training in 1976 and in the decades that have followed studied a number of disciplines from various countries before having the opportunity to learn the classical Japanese martial arts while living in Japan in the 1990s. He holds black belts and licences in four different martial arts. After decades of such varied training, he came to appreciate the comprehensive subject matter of Takenouchi- ryū, the dynamic combative effectiveness it has maintained for five centuries, and the transformative potential it holds for its students. Alex has been an instructor for the UBC Sports and Recreation Program since 1997 during which time he has taught literally hundreds of students the classical martial arts. During that time, he has developed methods for how to best leverage their inherent abilities/attributes and realize their potential. He has been pleased to see over the years the multi-fold ways in which the training has benefited students from a variety of backgrounds. Alex is the author of five publications on the Japanese language, has written for Black Belt magazine, and is a recognized expert on Japanese martial culture. 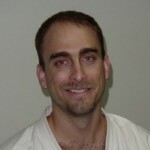 Ken began training with the UBC Judo Club in 1995 and has been instructing with UBC Judo for the past 10 years. 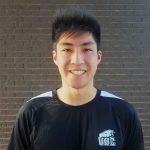 During his time at UBC he has also had the opportunity to train with other martial arts clubs including the former UBC Arnis Club and former UBC Sambo club. He believes that Judo is taught as both a sport and a martial art. The UBC Judo club focuses equally on the various aspects of judo. As a sport, it is a fun and high-intensity activity, which develops overall strength and endurance. A full time self defense instructor (Hit and Run Self Defense), Louisa has over 25 years experience, holds multiple black belts and is one of the few female street safety specialists in North America. With gold/silver medals in various fighting arts, she empowers students by providing realistic training and practical self defense classes for all ages. Krav Maga Black Belt and certified Israeli Krav International instructor, Combat Jujutsu Black Belt instructor (IFOJJ). Karate Black belt (GoJu-Ryu) certified Japan/Canada teacher and women’s self defense specialist. Director Hit and Run Self Defense street safety and personal protection programs including Krav-Jitsu. Other certificates include: S.O.A.R Level 1, 2, 3. Intense wilderness survival training. Ryan began his study of Shotokan Karate as a teenager and has practiced continuously for over 30 years. He spent one year training at prestigious Waseda University in Tokyo, and regularly travels to California to practice with Sensei Tsutomu Ohshima, who was a direct student of Master Gichin Funakoshi. 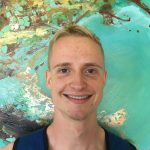 Ryan has traveled extensively to practice in Japan, Europe and throughout North America. 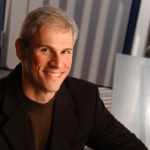 Ryan was an assistant instructor at UBC for many years in the late 1980s and 1990s. He led a dojo while living in Montreal for several years, before returning to Vancouver in 2007. Ryan has instructed hundreds of students over the years, emphasizing not only the physical fitness and self-defense benefits of karate, but also the development of humility, self-discipline, and a strong mentality. Ryan’s career as an environmental scientist and former staff member of the United Nations has taken him all over the world, including two years in southern Africa. Throughout those travels, karate has always been the foundation of his health and character. He has developed a deep understanding of the benefits of karate for everyday life, and is enthusiastic about sharing that understanding with his students. Tai Chi Chuan translates are “Supreme Energy Fist” and can be regarded as one of the most highly developed martial arts in the world. Using the meditative qualities of Qi Gong and the principal of softness over hardness, Tai Chi Chuan allows anyone of any age to develop better health and mindfulness along with an effective form of self defense that doesn’t rely on physical strength. 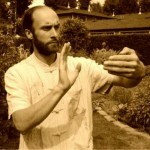 Lucas Trottier has been teaching Traditional Tai Chi Chuan with UBC Recreation since 2010. He is also a Traditional Karate/Kobudo Instructor and is trained in Daito Ryu Aiki-Jujutsu, Goju Ryu Karate, Chin Na, and Qi Gong. Sifu Daniel Pugh is a disciple of Master Raymond Cheung and has been teaching Hung Gar Kung Fu for over 10 years. With its roots in the Southern Shaolin Temple, Hung Gar Kung Fu has been used for centuries to train the body, spirit and mind. Known for its strong stances and powerful striking techniques, Hung Gar stresses not only the development of external strength, but also internal energy. Training is done both individually and with partners, and incorporates a variety short, long, and flexible weapons including the broadsword, three-sectional staff, and spear. 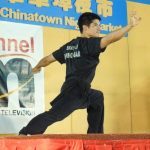 Daniel has competed in both National and International competitions where he has received numerous awards and medals including Adult Black Belt Grandchampion at both Tiger Balm Internationals and West Coast Can-Am Championships. He has also served as Head Dragon and Lion Dance Instructor for the Hung Gar Association of Canada, as well as Dragon and Lion Dance Coordinator for Wushu BC. Daniel has led teams performing at a wide variety of events, including the Annual Chinese New Year Parade and Vancouver 2010 Winter Olympics. Anthony started his Jiu-Jitsu journey in 2013 at Gracie Barra Vancouver. He is a BJJ Purple belt instructor and competitor who enjoys sharing his knowledge on the art. He teaches Adults and kids and believes that the benefits of the sport goes beyond the body to the mind, building strong, confident and self-disciplined people. At UBC he runs a Intro to No-Gi Brazilian Jiu-Jitsu class welcome to all level of experience on Saturdays.